Amazing how new tires makes a car ride/drive differently! Got new tires on Skyler the droptop Airvair today; steers MUCH easier and rides "cushy-er". Those old tires must had gone quite hard! Re: Amazing how new tires makes a car ride/drive differently! How old were those tires? Yes tires continue to "cook" with age, even when just sitting. That's why eight years after build is considered the safe limit. > How old were those tires? > is considered the safe limit. 8 years old, one/both of the front tires had the slow speed, slight wheel shimmy of a broken/slipping belt, fine cracks were developing on the sidewalls close to the rim. Hope you bought a cheap low mileage tire..... softer rubber compound! Your car will ride much better in the warm weather of the summer vs the cold in winter....huge huge difference. New tires have more rubber to absorb the bumps and and bangs is a help also vs less tread...probably the fluids in shocks also contributes to ride quality...especially in winter. I thought it would be a waste to spend Big Bucks on high mileage warranty tires for a car that ....might...get 1K a year put on it. I went with Firestone Primewell PS 830 185/75 X 14 tires, just under $300.00 mounted, balanced, road hazard, valve stems, sales tax. Looking noticeably more narrow and more "original equipment-ish" than the previous tires. What's the MAX pressure of the tire? Where do YOU have them set to? I can relate to the difference new tires can make. In 2010 I replaced the original Goodyear GSA EMT Run Flat tires on one of my toys. The tires were ten years old at the time, had a treadwear rating of under 200 and about 25K miles o them. They were beginning to hydroplane on me so it was time to replace them. I replaced them with a set of identical discontinued tires that had been made in 2008 and even though they were two years old, the difference was like night and day. Fast forward another eight years and these tires are now ten years old and the car has almost 53K miles on it. Since there are no longer any run flat tires available in the stock tire sizes for my car, I will be going with non run flat tires. Even then, there are only two or three choices for tires that have a matching tread pattern for the front and rear of the car as they are a staggered fit. The fronts are 225/45/17 and the rear are 295/40/20 so there is no spare. It looks like a repair kit and air pump will also be added to my limited trunk space. > What's the MAX pressure of the tire? > Where do YOU have them set to? Max pressure is rated at 44 psi. Of course Firestone had all 4 of 'em inflated to 36 psi. I drove about 3 buildings away, got out and dropped 'em back to my usual 25(f)/35(r) pressures. I have to agree. New tires made a night and day difference in how my vert handles. Of course my tires were either 20 or 30 years old according to the date code. I was stunned that almost almost all of the ill handling I was having were all caused by the tires. Try 20 / 30 and see what you think.. I found out long ago that tires make ALL the difference in handling! 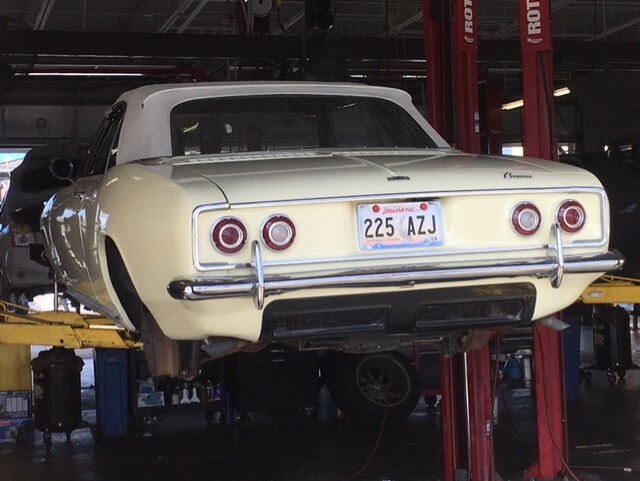 In the early '70s I went through a large amount of money trying to find the 'right' tires for our Olds Cuttless and Triumph GT-6+! I could not find any brand "F" or brand "G" tires worth the money! I tried a few odd balls recommended by a 'friend' and they didn't do any better!! This was at a time when Michelin was considered "the best" in the world IF you could find them AND IF you could afford them!!! There was one dealer in central Indiana that had them, They were an hour and a half drive from my house. My wife and I talked it over and decided that the cost for a set of Michelin's was the same as two new sets of anything else (I was changing them twice a year). Bottom line: I bought a set of Michelin tires and never looked back! In the last 49 years these are the only tires I will buy! 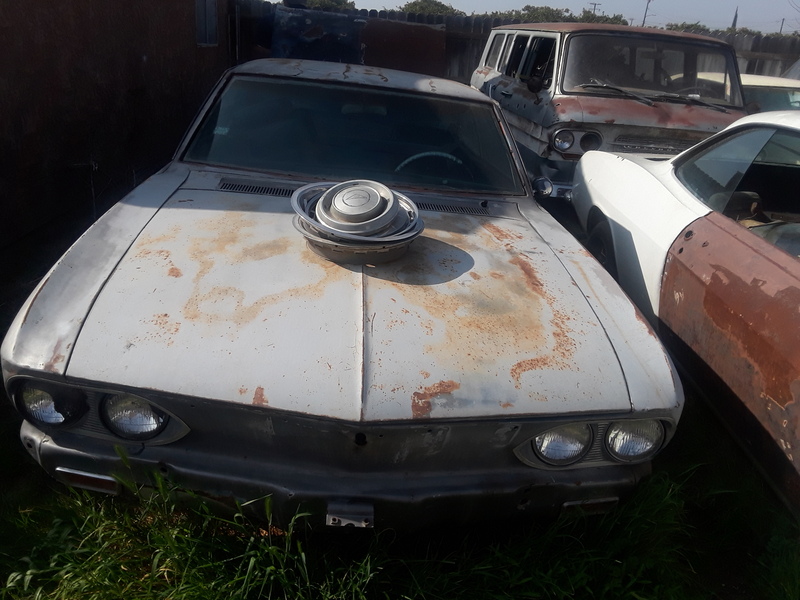 That includes all the Corvairs I have owned. 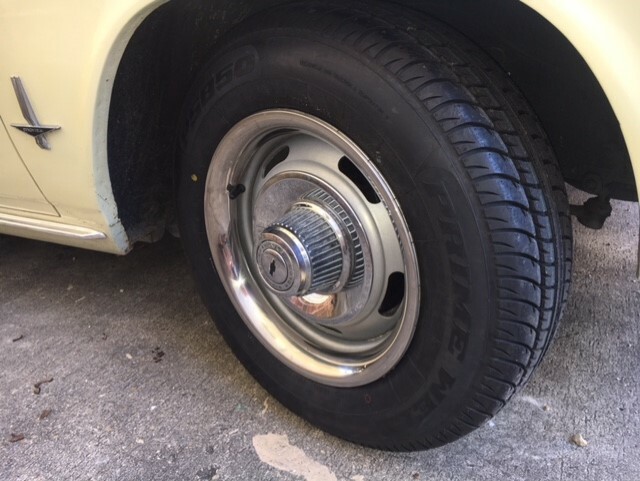 On the Corvair I use 22psi in front and 32psi in the rear. I am NOT a tire dealer! I just wanted to let you know what works for me. Must agree Dale, . . . . nothing but good to say about all the Michelins I've had. 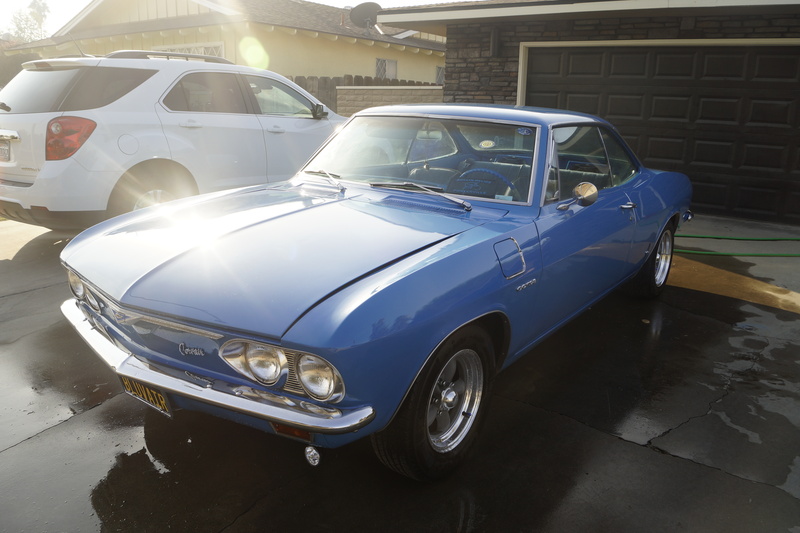 Glass-smooth ride up to (briefly) 75 mph; about 10 mph past my usual Corvair cruising speed. Firestone must had just had their "computer" wheel balancer calibrated. Most important question.... How does the car handle? My driving since the new tires installation was either putt-putting around in the neighborhood or straight line Interstate driving; so I really cannot make any handling judgement calls yet. > any brand "F" or brand "G" tires worth the money! > and they didn't do any better!! > IF you could afford them!!! Are you sure those Michlens weren't your FIRST RADIAL tire? I first experienced radials in Deutchland /1966. First time I bought new tires I bought Firestone FR70-15's for my Vette... sure were better than the 670x15 Bias plies... also had 2" more rubber touching the road! My wheels are 14 inches in the front, 15 in the back. I bought them and a couple sets of Wal-mart tires as soon as I bought the car. So I have no other reference, but I love how my Bluvair handles. What size tires on those wheels?